Tickets will be ready for pick up the day of show at the Will Call table. No follow up email will be sent and no tickets will be mailed prior to the show. Tickets purchased online will be ready at the Will Call table the day of the show. Mr. Sam Torres of Torres Empire…. I have been around the lowriding scene most of my life. As a child, I grew up in California where the lowriding community was strong. My interest with lowriding began with the building of lowrider bikes. Since then, my passion is now building and collecting lowrider cars. I am now fortunate to be the owner of my very own body shop called Torres Empire Body Shop located in Arlington, TX. 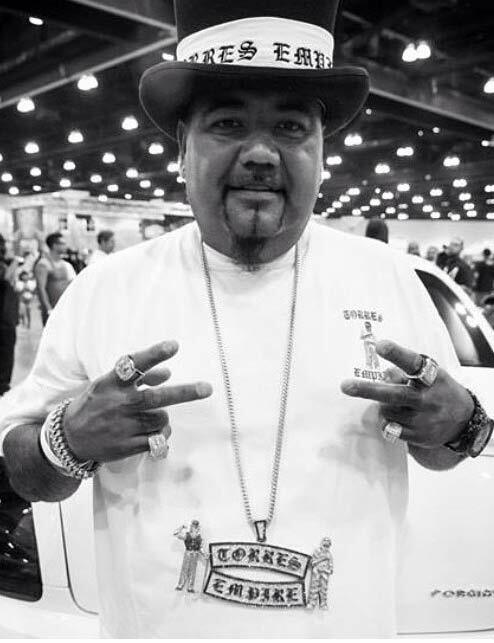 I am very fortunate to have put together a staff with the common vision of continuing the Lowrider Traditions. Over the past couple of years, I have begun to work on expanding Torres Empire and its name. Torres Empire has and will continue to represent at car shows in and around our community. 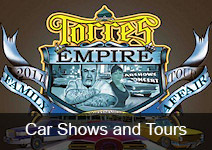 In Oct. of 2008, I promoted my very own car show in Dallas, TX…“The Torres Empire Car Show and Family Festival”. The first show was great, but we promised that next year’s show would be BIGGER and BETTER and it was a SUCCESS!!! Torres Empire was also fortunate to have its first California show in July in San Bernardino at The National Orange Show. It had always been a childhood dream of mine to have a show at The National Orange Show and this year that dream came true! Torres Empire returned to California in 2010 for its 2nd annual car show at The National Orange Show. I have been blessed to be married to my wonderful wife, Elisa “Cookie” Torres for twenty-five years. She has supported me through all my endeavors…Thank You Cookie! We have three children, two sons and one daughter. Our family and friends make Torres Empire the success it is today, with hard work and dedication. 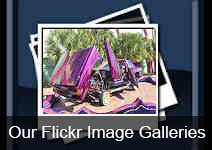 Torres Empire and I have been active members of The United Lowriders Association for many years. We strive to work together to make a positive impact on the community. We dedicate our time and resources to causes that make a difference . 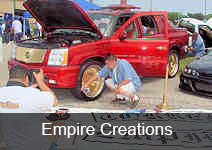 For more information about, the Torres Empire family and Torres Empire Body Shop visit www.TorresEmpire.com.